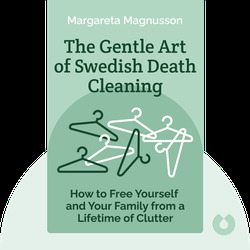 The Gentle Art of Swedish Death Cleaning (2018) provides a helpful guide through the process of taking stock of your life’s belongings and getting rid of the things that you don’t need and that may trouble your loved ones. This is especially important as you get older and face mortality. 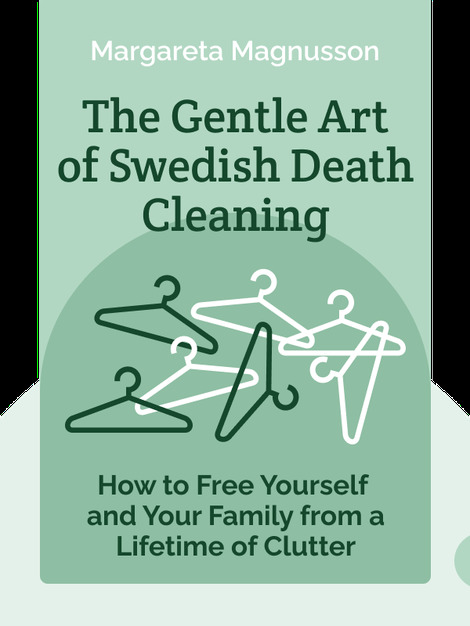 Instead of leaving the burden of sorting and discarding to your children, you can take control with death cleaning, with the added benefit of appreciating a life’s worth of memories at your own pace. Margareta Magnusson is a Swedish artist who describes herself as somewhere between 80 and 100 years old. She graduated from Beckman’s College of Design and has been exhibited internationally. After moving more than 17 times in her life, to both Singapore and the United States, she now lives in Stockholm, Sweden.